After an appropriately long sabbatical for the Citadel blog, we return this week for another look at the world’s history. 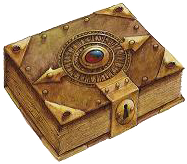 Last post, we studied what is known about the “lost eras” of history, for which there are few written records. Now we examine the Modern Era, the events that shaped it, the cultures it spawned, and the great adversities in store for it. Nearly 300 years ago, the world of Citadel woke up from a terrible dream. The world had been ravaged, and though none could remember what the world before was like, it was understood that the world had been transformed by some cataclysm. This cataclysm is known by most as the Rain of Stars. It is commonly believed that before this event, the sky was filled with glittering points of light. Some kind of war or other disaster must have befallen the heavens, for now these stars exist as debris, scattered across all known lands. The stars, luminescent crystals with strange properties, litter craters and scars the world over. This week, we look at the four Northern nations of Citadel: Orm, the Dead-Eyes, the Amadi and the Syndicate. In case you missed last week’s post, you may peruse it here to learn of the three Southern nations. 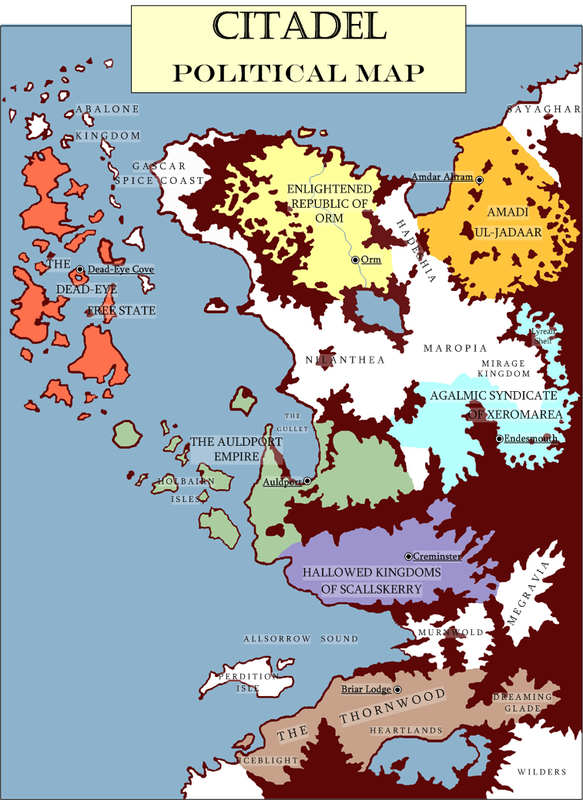 Also, all the nations described here can be found on the Citadel World Map.